Band Fraternity | UNL Band Alumni Association, Inc. In 1903, the first Band Officers were elected to help with the running of the band. 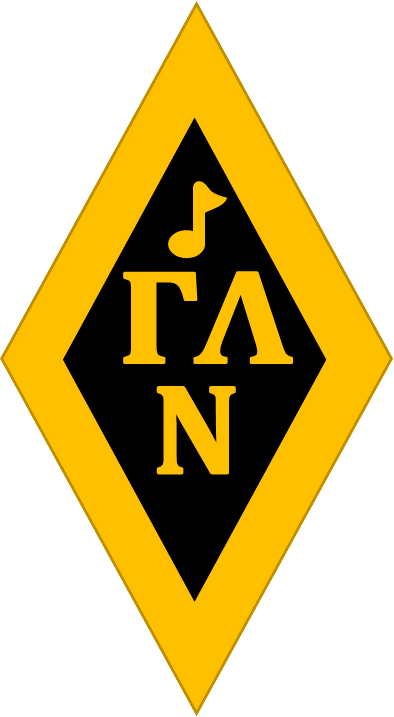 In 1917, a Cadet Band Association (CBA) was formed and created an initiation for incoming freshmen. Although the CBA did not survive the war in any formal sense, the paddling ritual did in which the initials C and L (Gamma and Lambda in the Greek alphabet) of “the word” were repeated. 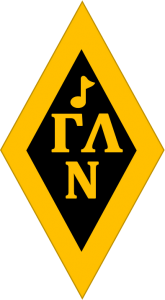 By 1920, the current band president, Edward Lanphere, and band secretary, Luther “Boots” Andrews decided to formalize a band service fraternity with a little more dignity, creating Gamma Lambda (ΓΛ) using the initials repeated during the paddling ritual. Why does everyone think Gamma Lambda was established in 1912? Andrews wanted to use 1917 as the origin date since it was the initiation that gave them the idea Andrews submitted an order to the Lincoln Stamp and Die Works for a crimping die to make seals for the membership certificates. But in doing so, he wrote the date in European fashion, with a crossbar on the seven. It is believed this was misread as a two; therefore, the first die had the 1912 date and was used for the charter membership certificates. It was replaced shortly thereafter with a new one that did not have a date on it. As you read the article, “Gamma Lambda Holds Banquet” you’ll find the this is an introduction to the organization. This is the first mention of Gamma Lambda in any University of Nebraska publications. “Gamma Lambda Holds Banquet” April 16, 1920, Daily Nebraskan. The 1912 date was often repeated in University publications (i.e. Yearbooks and Daily Nebraskan), thus perpetuating the misinformation. 1920 the Beta Chapter of Gamma Lambda was established at the University of Florida but it folded in 1923. In 1936, membership into Gamma Lambda changed from a direct invitation to a smoker with membership requirements. A semester pledgeship was added prior to initiation. Prior to 1938, Gamma Lambda awarded a Band Key (a gold-plated house key) to their members for recognition of superior musicianship and involvement in band activities. It was proposed by Donald Lentz to open the qualifications up to all band members and in 1940, the first was awarded. On February 5, 1971, the Gamma Lambda members were installed as the Epsilon Omega Chapter of Kappa Kappa Psi (ΚΚ Ψ) with Wayne State as Adviser Chapter. Over the next few years, members became unsatisfied with their affiliation with KKPsi. 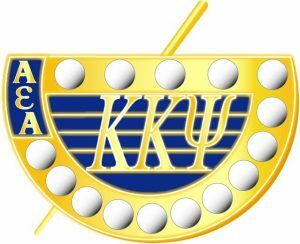 On March 13, 1974, Gamma Lambda dropped their affiliation with KKPsi and returned to the Gamma Lambda fraternity. By the 1990’s, interest and membership in Gamma Lambda had faded and a reorganization was needed. On April 25, 1998, the Epsilon Omega Chapter of Kappa Kappa Psi was reinstated with Kansas State University as Adviser Chapter. Thank you to Mr. Gary Steffens for the research that provided this information and his permission to use here.